For over a decade, the residents of Frisco have felt fortunate to have their health care needs attended to by Dr. Matt. He offers a wealth of natural solutions, integrating the best aspects of advanced chiropractic care, nutrition, spinal decompression, soft tissue therapy and popular weight loss strategies. 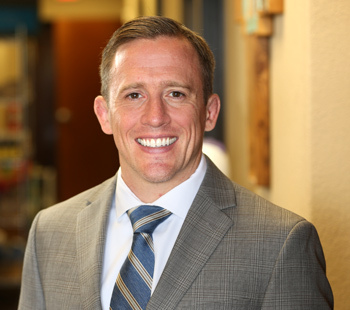 As a lifelong athlete, Dr. Matt has always relied on chiropractic care for the enhancement of sports performance and as a potent aid in injury recovery. His choice of chiropractic as his future profession was a natural fit. He received his Doctor of Chiropractic degree in 2005 from Parker College of Chiropractic in Dallas, Texas. Dr. Matt takes pleasure in caring for those who have been unable to receive high-quality health care. This dedication has led him to make month-long mission trips to India to care for thousands of underprivileged men, women and children. He is married to Monesa, and the happy couple share their lives with their two children and an aunt with special needs. Dr. Matt also teaches Brazilian jiu-jitsu, coaches his daughter’s soccer team, and is highly involved with his church. 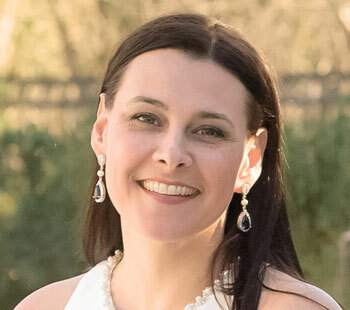 Dr. Mandy Woods has a Bachelor’s of Science in Biology with a double minor in Psychology and Chemistry, and graduated with honors with her Doctor of Chiropractic from Parker University in 2008. She also has numerous hours of continuing education in Neurology and Nutrition. She prides herself on ensuring that her patients feel heard. She believes that she can only serve her patients to the best of her ability if she truly understands their needs and goals. Dr. Woods is married to her wonderfully loving husband who came with the gift of a stepdaughter Dr. Woods calls “K K” whom affectionately calls her “Man Man” in return. Dr. Woods is also very proud of her son – that would be her rescue canine fur-baby; Boudreaux. Dr. Woods enjoys singing and performing on stage, and has recently decided to try the violin. Dr. Mandy Woods is so very proud to be a part of the 360 Wellness team, and looks forward to changing as many lives as possible. We care deeply about our patients and would love to welcome you to our family-friendly practice. We accept most insurance and feature on-site digital X-rays for your convenience.